The Policing & Censoring Of Our Activism. This one really hits a sore spot for me. I am not just a makeup artist. I am also a human rights activist. Activism is not something you just do in your spare time. It is a full-time, life-long commitment that you make to yourself, and to the communities you are advocating for. As a black person in a black body, I find myself living in a time of active racism and genocide against black people across the globe. Thus, my activism is loud, it is urgent, it is incessant, and it is unapologetic. For some reason, however, activism is frowned-upon in this line of work… or so you would think. In actuality, activism is not frowned-upon. Just a certain type: Anti-racism activism. Think about it. If you scroll down your Twitter or Facebook timelines or listen really hard on set, you will see makeup artists’ activism for all kinds of things: animal rights, veganism, shoes for the poor, marriage equality, food waste, and the list is endless. No one even thinks twice about openly advocating for these things. The only advocating that seems controversial is activism that acknowledges that we live in a country founded on white supremacy, and that black and brown people are dying because of it. Any advocating is welcome, except the advocating for the survival of black and brown bodies. It makes my guts churn when black and brown people feel like they cannot say anything related to their experiences with racism and police brutality on their social media accounts, or on set… meanwhile, all other forms of activism are welcome. How dehumanizing is that? To live half of an existence at work and online? As one can observe, the art world is fond of black culture (our music, our dancing, our food, our slang, our hairstyles, etc…) yet the art world has no compassion for the bodies that produce that culture. Personally, this is something I refuse to compromise on. Do black and brown people stop being unjustly murdered just because you are at work? No. So, as a black or brown person, why should your activism? There isn’t a police assault truce between the hours of 9am and 5pm. So why should that apply to my activism? Especially when that activism affects the safety of MY ACTUAL PHYSICAL BODY. That activism is promoting the maintenance and survival of MY BODY… which is showing up AT the job. I can’t come to work if I am dead of the violence you want me to be silent about. What kind of company or person would refuse to hire someone for advocating for their own survival? THE KIND YOU DON’T NEED TO BE WORRIED ABOUT WORKING FOR. Listen, there are very few things that are not for sale in a capitalistic society, and your humanity should be one of those things. I understand that valuing your humanity can be difficult when you live on the losing side of racism and economic oppression, but I urge you to fight the fear of losing work. 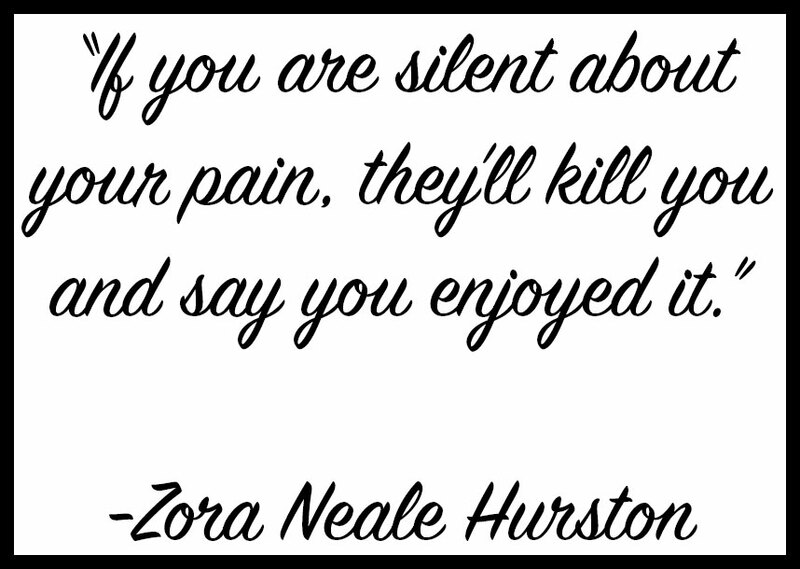 Not speaking up contributes to maintaining the status quo… and that status quo is ALREADY denying you work, boo!